Translating Barnes together, step 3 : the Doodle ! Ca will, therefore, have not dragged : I had planned a 10-day period, but it took just four hours to gather the 120 euros of prize money that will allow us to purchase the rights to translation into French of the article by Barnes ! The prize pool is now closed, I have recovered the amount, and I’m going this week to pay the rights of the French translation, I’ll take the opportunity to ask them the question that has been raised in some of the comments of the previous post, and which focus on the nature and the extension of those rights : we fully owners of this translation and is therefore totally free to decide on its possible uses, and, in particular, of the license under which we will respond ?… I’ll let you know ! The proposed dates are : Thursday 8 march – Friday 9 march Tuesday 13 march Wednesday 14 march Thursday 15 march Tuesday 20 march Thursday 22 march Friday 23 march Monday 26 march – Tuesday 27 march. For the moment, about thirty people have indicated their interest, which is already great ! But feel free still to join us now, and to circulate the information around you ! The Doodle is open until the end of the week, in other words, until Friday, February 10,… It is gone ! Next Article Translating Barnes together, step 2 : the pot ! 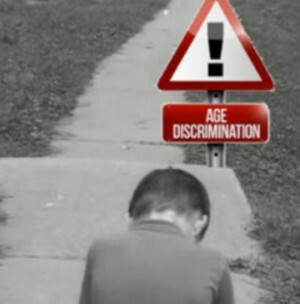 Seminar-Workshop Are Discriminated for being children?